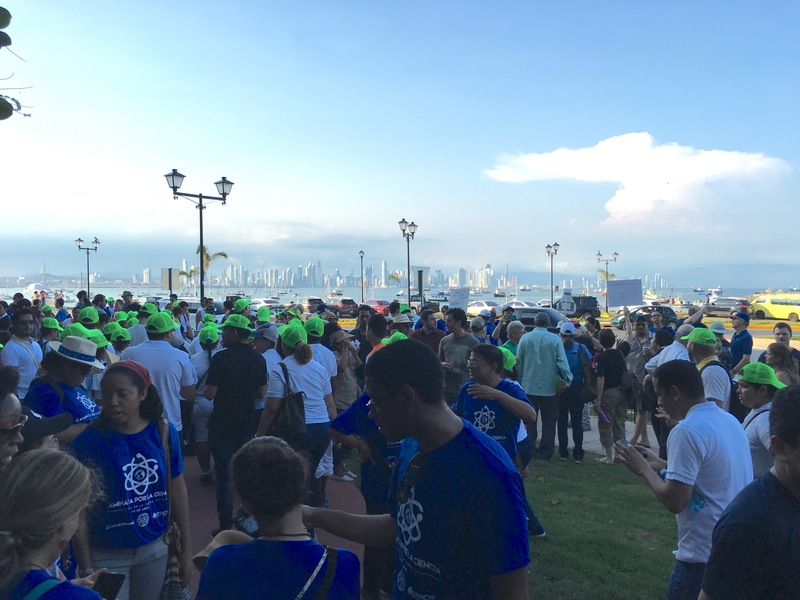 During fieldwork in Ciudad del Saber [City of Knowledge] - a science, technology, and innovation park in Panama City, Panama - I was invited by one of my interlocutors to attend a meeting hosted by a nascent organization, Ciencia en Panama [Science in Panama], formed by a younger generation of science experts from various fields (i.e., Computer Science, Biomedical and Pharmaceutical Research, Science in Higher Education, Economies of Science, etc.). 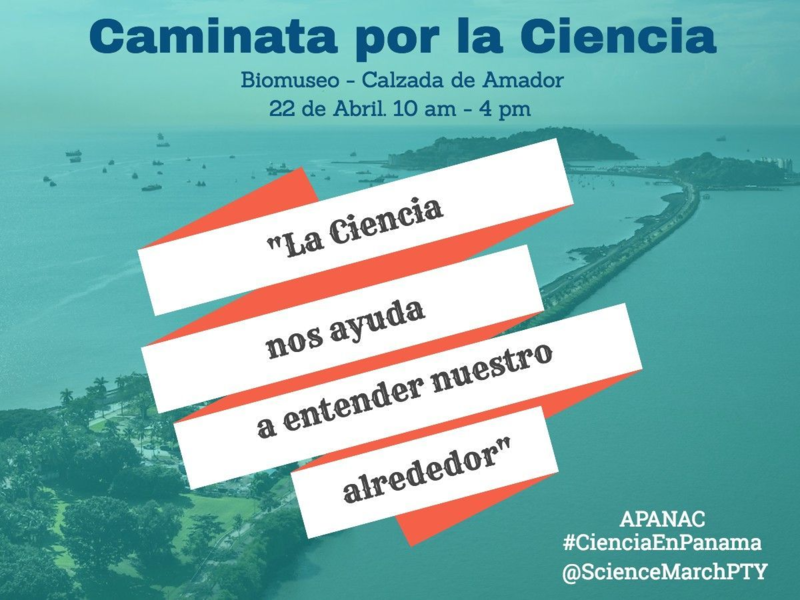 Only two months before the scheduled Science March, which became a social movement worldwide, members of Ciencia en Panama discussed the many reasons why they wished to organize a similar manifestation in Panama City. 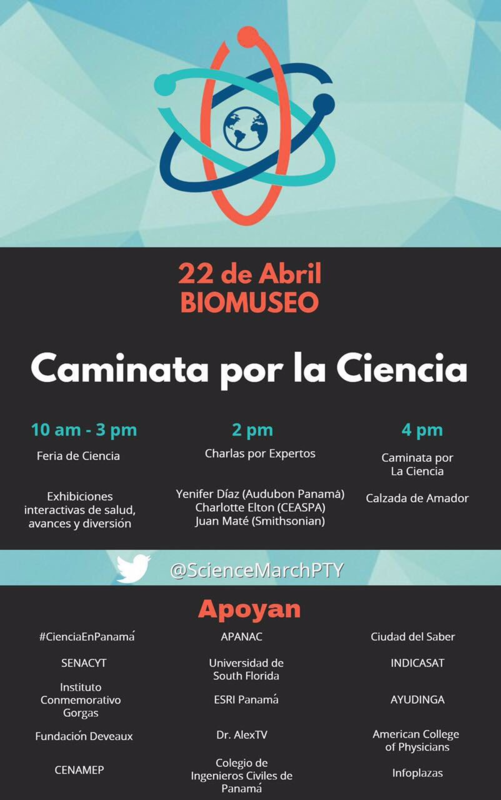 In April 2017, Panamanian scientists from various disciplines and scientific sectors gathered at the BioMuseo. 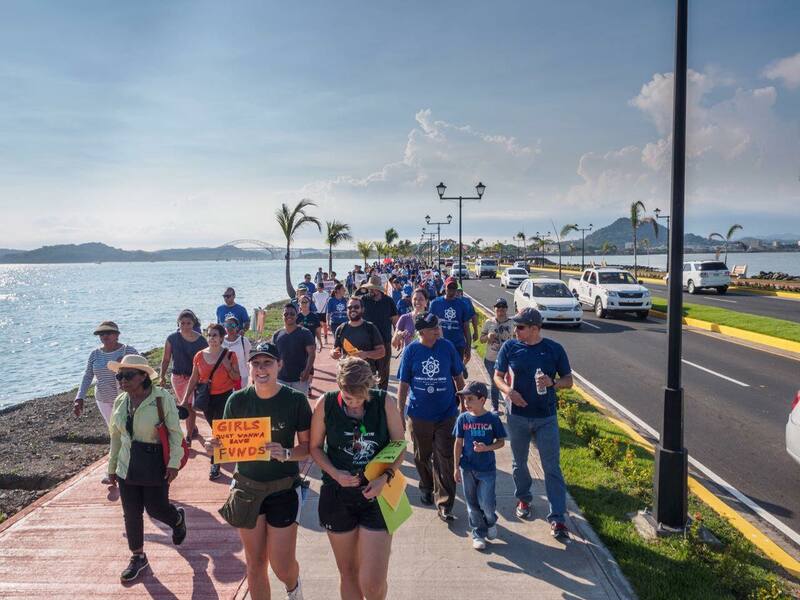 These supporters of science joined protesters around the world by rallying down the Amador Causeway on the Pacific entrance of the Panama Canal to call attention to multiple issues surrounding public funding of scientific research and science education. 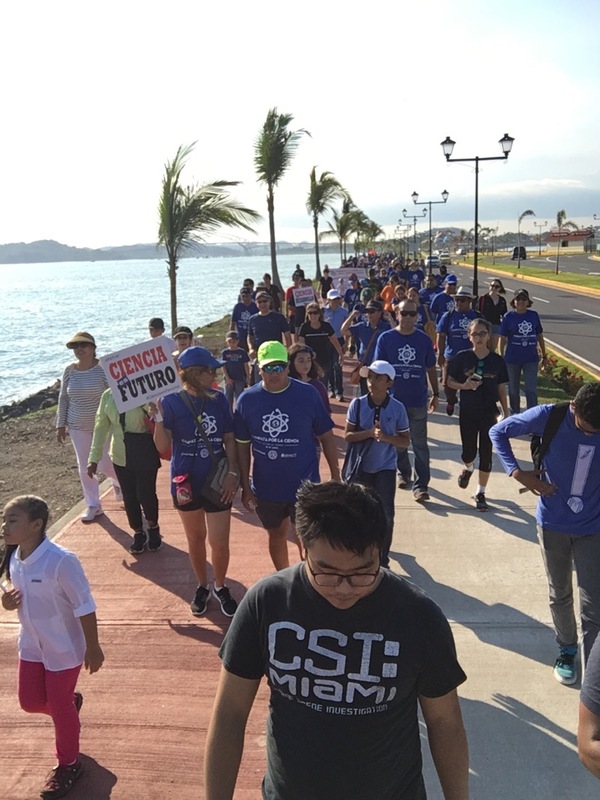 In their call to take part in their version of the March for Science, Panamanian scientists and science supporters also considered local sensibilities and political vulnerabilities in planning what they eventually called La Caminata por la Ciencia [The Walk for Science]. 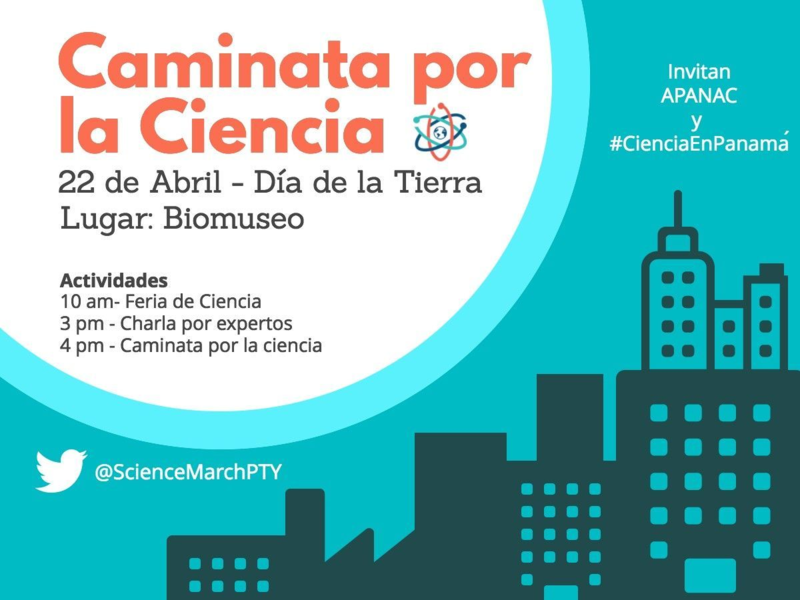 Panamanian scientists-organizers insisted that the manifestacion, or public demonstration, should not be called marcha [a march] or protesta [a protest] so as to not compromise what little funding their "National Science System" receives from the state. 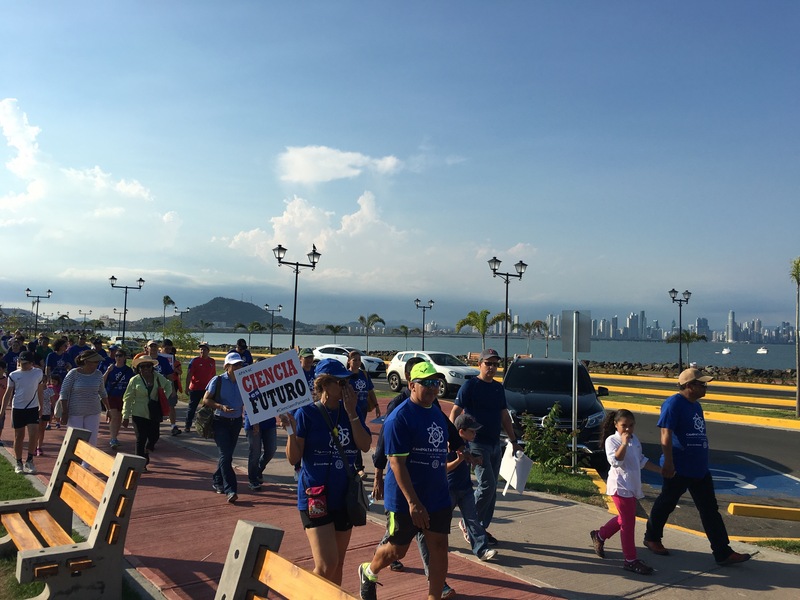 Notably, the scientists-activists pointed out that signifiers like marcha and protesta in Panama like other parts of Latin America can carry with them political valances that could negatively link public demonstrations to the deeply present memories and histories of dictatorship, militarism, occupation, and related political upheavals. 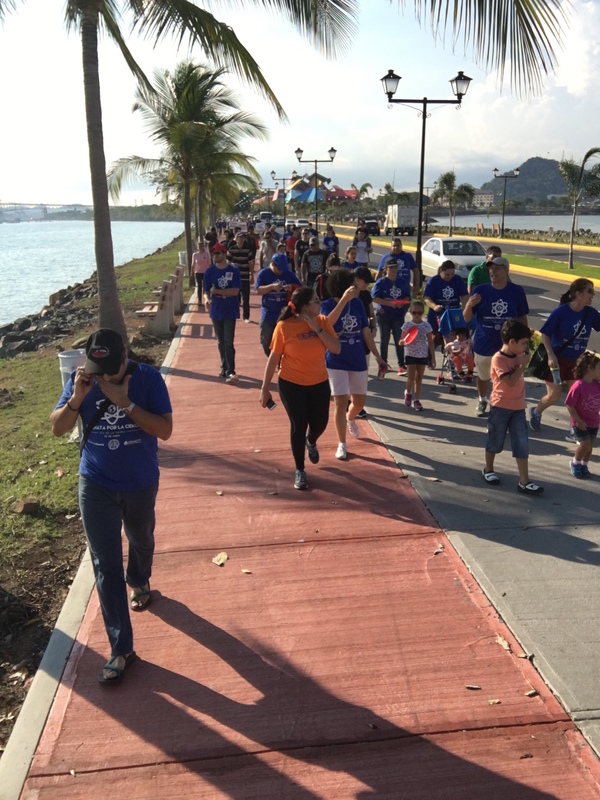 In the United States the Science March raised the voice of concerned scientists, science advocates, and citizen-science supporters due to the menacing actions the Trump administration took in its first year in office, including incapacitating the Environmental Protection Agency (EPA), redacting the EPA's web presence and proposing significant changes to the funding mechanisms/structures for research on climate change. 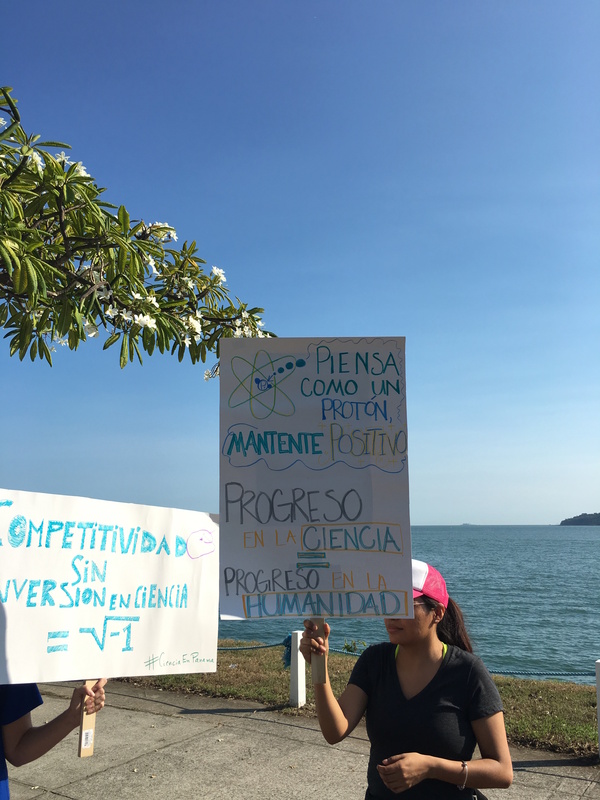 While Panamanian scientists and advocates of science had to send a clear message of the political stakes behind the Caminata, they also had to navigate the local and geopolitical landscape shaped by the long history of occupation of territory surrounding the Panama Canal. "Science helps us understand our surroundings." Background Image: Aerial view of Amador Causeway. 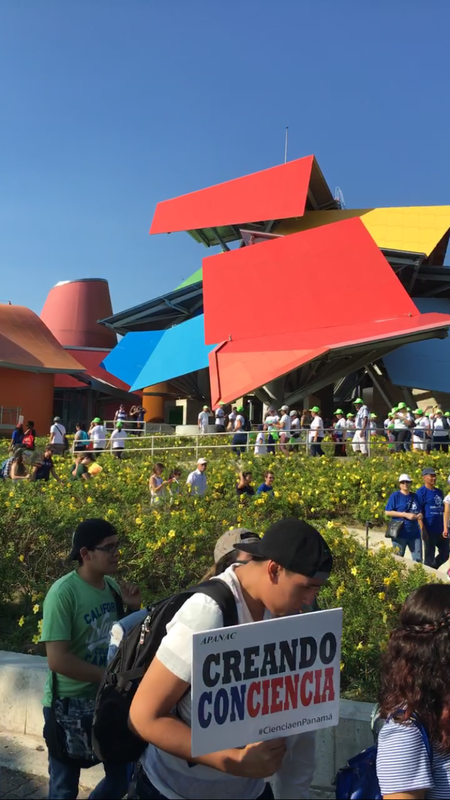 By staging and calling their manifestation the Caminata por la Ciencia, Panamanian advocates of science articulated and made their funding struggles more visible while recasting a long-standing tradition of manifestaciones callejeras [public demonstrations or, literally, street demonstrations] in more politically nuanced and tactful ways. What epistemic formations and assemblages command STS attention, and to what end? What makes STS modes of inquiry timely and how do we reach broader publics? How do we as STS scholars respond to an accelerating economic and technoscientific world coupled with a growing disconcertment for epistemic turbulence and modes of social and political in/exclusion? 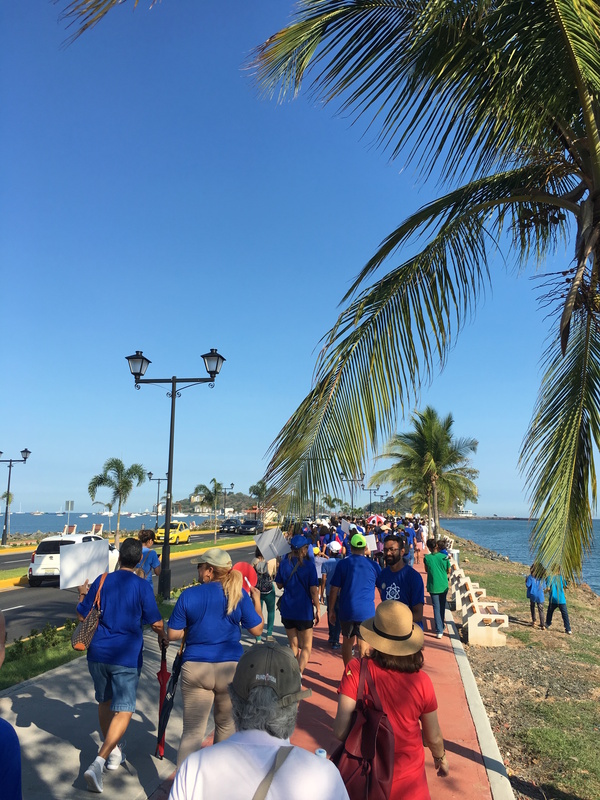 How do the MfS and the Caminata por la Ciencia call for cross-region comparison and dialogue? What is the broad discursive context within which STS operates in your region? 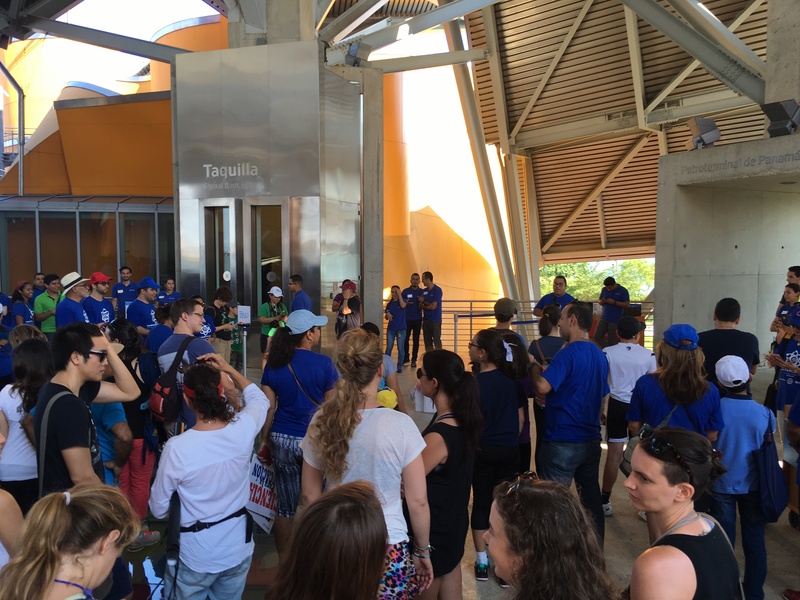 How, for example, did the April 2017 March for Science play out in your region? Who participated and why? How was it covered by the media and talked about in public arenas?